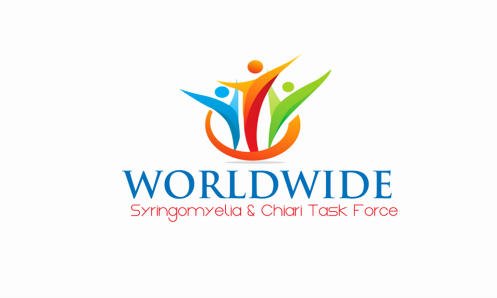 It is an honor to be asked to be a part of the Worldwide Syringomyelia and Chiari Task Force. I have been reading the posts that have been put on Facebook and have been learning a lot about the disease. What I have seen has been a family of people with a common mission – to take the challenges that have been placed in their life and make the most of an impossible situation. I see a group of people who seek to support each other and feel safe enough to be honest when they feel that they need support. I see brave souls who live with hope and realize there is an uphill climb… everyday. We all have down days, and even when some of you have down days and down weeks, I see others of you who reach out to support each other, even in your darkest hours. I see courage. I see determination, and I see strength. I also see love and compassion, and it is the strength of that love and compassion for each other that bonds you all together. It is not that you all have the same disease, it is that you can empathize with each other, because you have walked a similar path, and even when your body rebels against you, you will find the courage to march on, and when the pain feels unbearable, you know you have friends and “family” out there that feel your pain who you can turn to. I believe that family goes far beyond blood. Let this organization be a beacon of light for those who have yet to find you all, and let you all be a safe haven for those who feel alone, scared, lost and in pain who share your common bond. Know that there will be times when the protective efforts of anger, rage and hatred at the disease spill over into anger rage and hatred toward the world, and let them know that you will help them to hold their anger and embrace it, not so that it can be used to hurt others or themselves, but so that they may see beyond their anger to the hurt, fear, pain and helplessness that our protective emotions seek to hide. I believe that life happens for us, not to us. For many of you, you may not feel that way, and I understand. I believe that we are never given more than we can handle, and some of you may not believe me, and I understand. I believe that when it feels that the world has heaped its refuse upon us, it can become the compost that we use to nourish our growth. And with all due respect to you all, I know that your journey is one that you did not choose, nor would you choose it for anyone else. I do know that you all walk it together and will lose brethren along the way. It is my hope that we can ease your journey, and offer our support, encouragement, experience and wisdom. I don’t profess to walk in your shoes or know what it feels like to live a day in the life of you all. In my two decades of work, I have had the honor of guiding many through their challenges and hope that I have helped them to find some peace in their chaos and pain. I don’t believe that I have the answers. It is my goal to help others find their own within. I believe in you all; I believe in your spirit; and I believe in our mission – to raise needed awareness of Syringomyelia and Chiari so that the world may understand the disease and needed research can help us all understand its cause and its cure. Just know that it is my hope that what you may feel as an eternity of pain may one day come to an end, not because your body ceases to exist, but because a cure has been found. And for those who have fallen along the way, I wish you all peace in the knowledge that you were not alone.